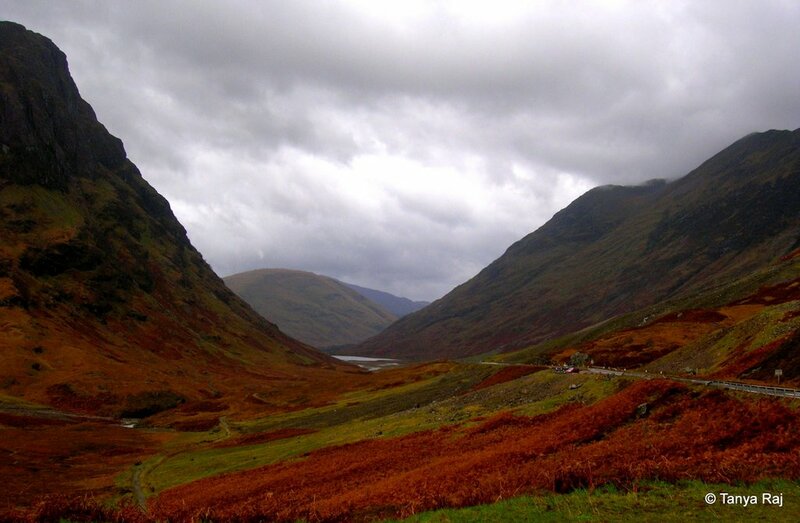 The rhythms of Scottish folk songs sway along with the movements of the bus as it meanders through the Highlands towards Lochness. Our perky driver keeps drawing our attention to some of the famous points on the way through the announcement system. All the while keeping a sharp eye on the roads that are awash and even slippery at some points with the persistent fine mist-like rain. 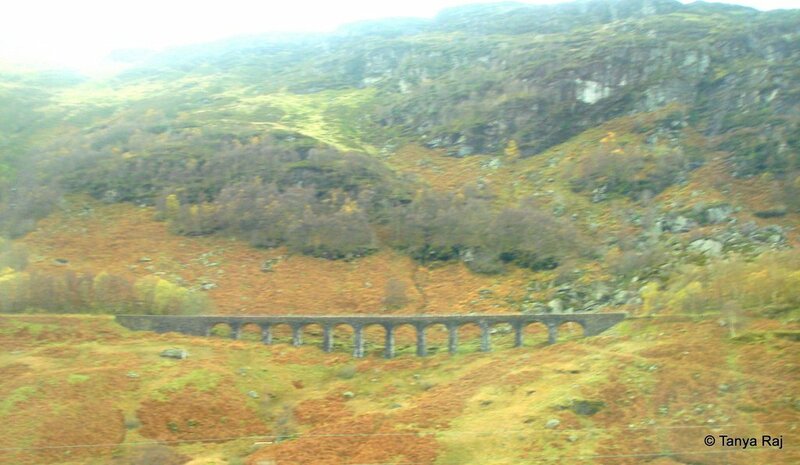 We cross a viaduct just before our first stop, and I am curious to know if it is from the Harry Potter series. To my disappointment, it is not. 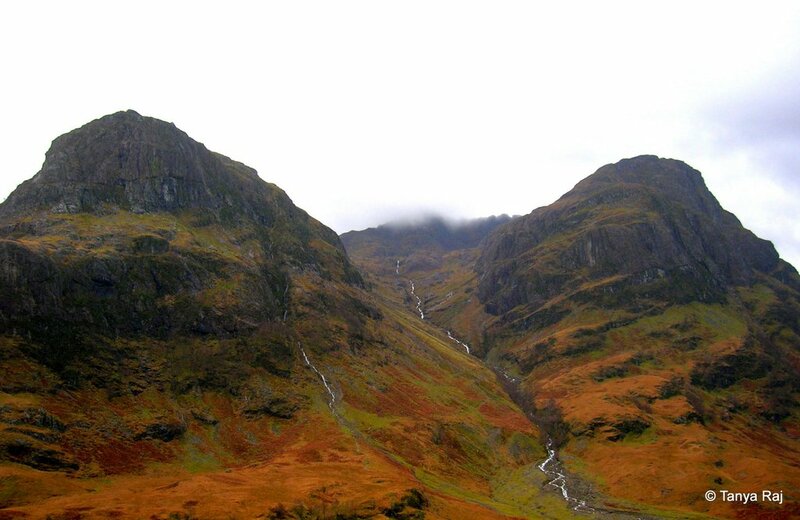 Mountains with jagged cliffs tower above us, interspersed with rolling moors covered in orange and green vegetation. 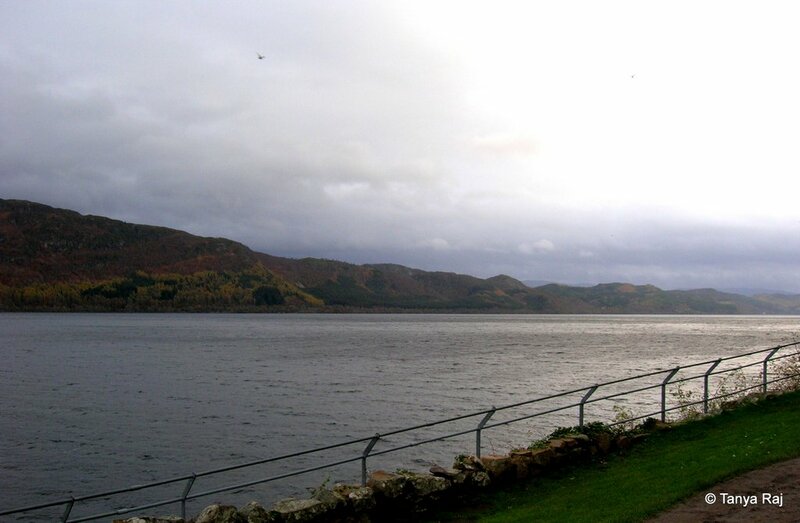 Occasionally a lake or a stream makes an appearance among the mountains hugged by clouds. 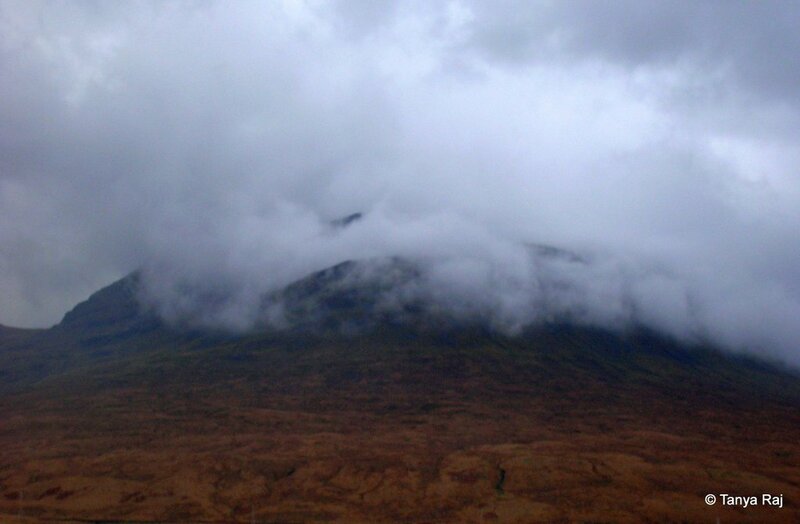 Ben Nevis – our first stop – is the highest mountain in the British Isles and this day its peak is covered with a layer of clouds. 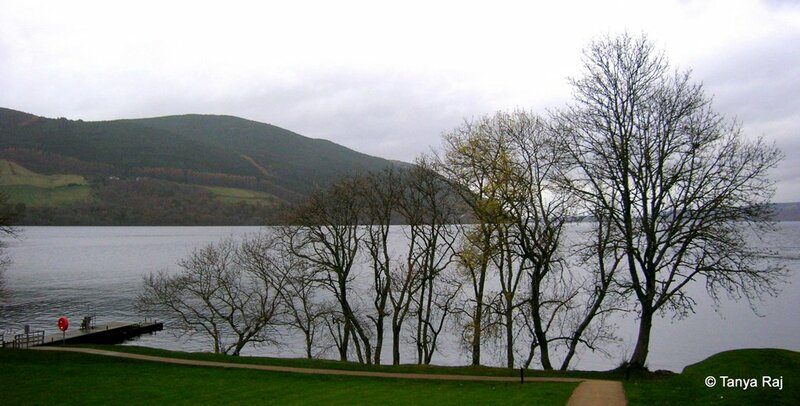 As we reach our destination, the expanse of Lochness is visible from high up above. 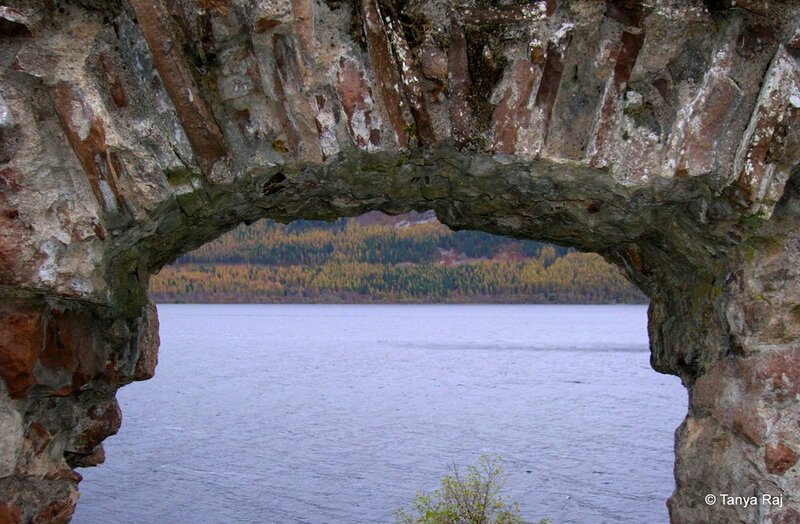 The second deepest freshwater loch in Britain, Lochness contains more fresh water than all the lakes in England and Wales combined. 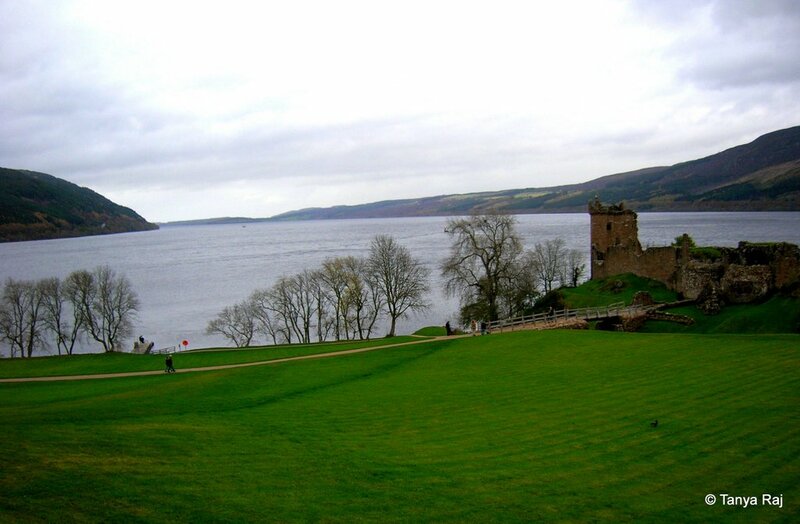 Famous for the mythical Lochness Monster or “Nessie” and its alleged sightings, the legend still lives on, so much so that a life-size resting statue of the famous monster can be found on the café grounds nearby. 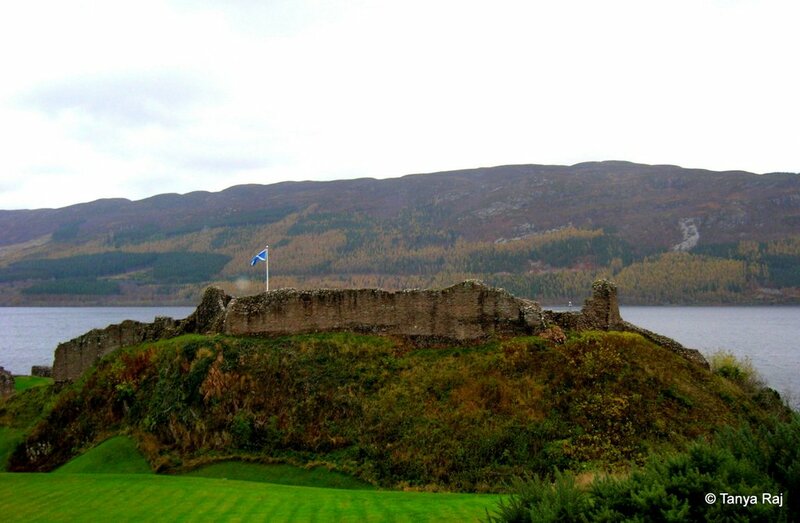 The ruins of the Urquhart Castle, sit atop a mound at the banks of Lochness and date back to early medieval times. 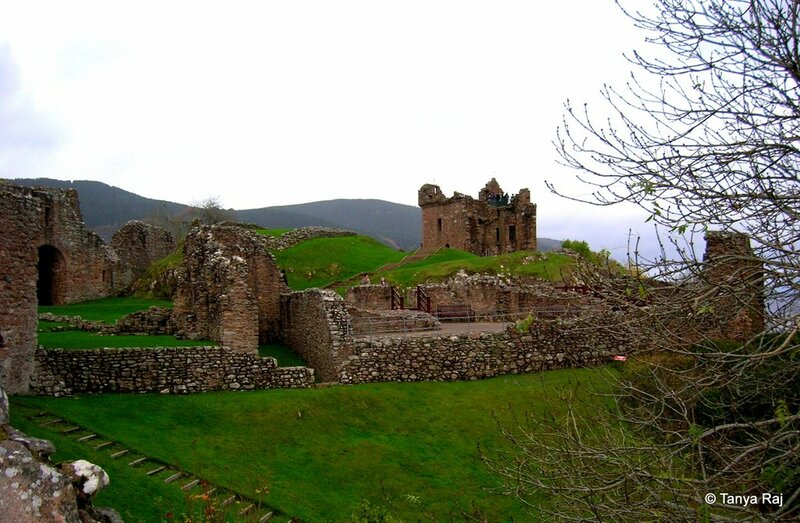 The Nether Bailey which contains the gatehouse and the Grant Tower of the castle. 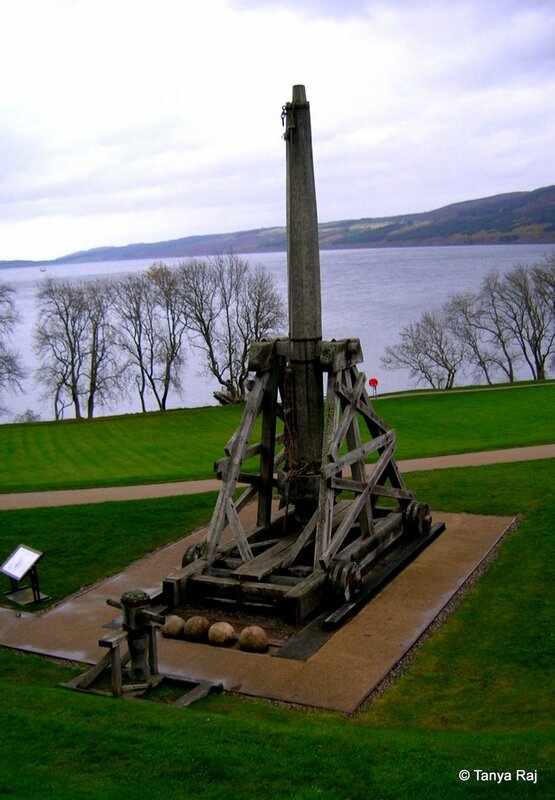 A medieval catapult stands on the castle grounds that leads up to the Lochness. 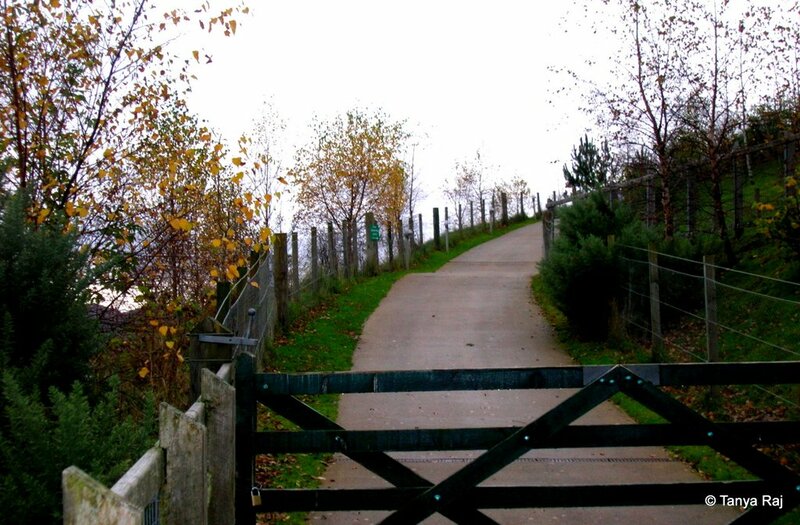 Onwards to the next adventure…. 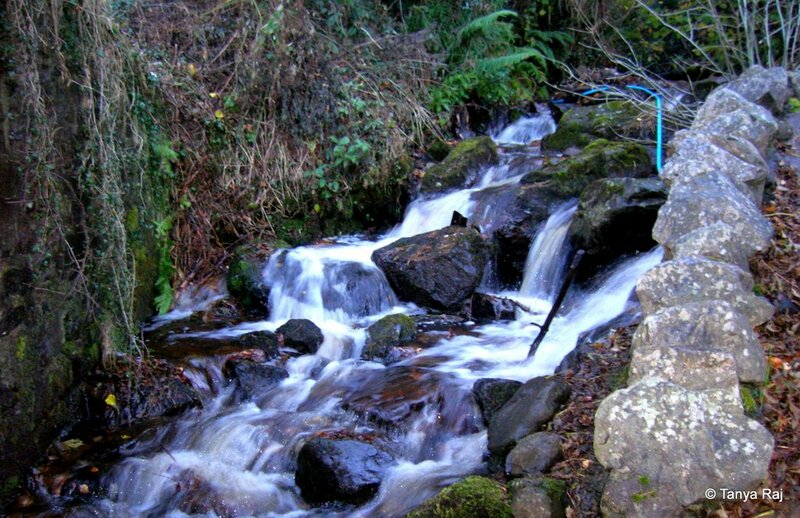 A small rivulet near the café grounds of the Lochness.